Not to be confused with No Tears to Cry. (2017) "No Tears Left to Cry"
Ariana Grande-Butera is an American singer, songwriter and actress. As one of the world's leading contemporary recording artists, she is known for her wide vocal range and has received such accolades including one Grammy Award, one Brit Award and three American Music Awards. Savan Harish Kotecha is a multiple Grammy and Golden Globe nominated American songwriter and record producer from Austin, Texas. Kotecha is of Indian descent. In the United States, "No Tears Left to Cry" entered the Billboard Hot 100 at number three, further extending her record as being the only artist to debut in the top ten with the lead single from all of her studio albums. It became her third single to top the US Mainstream Top 40 airplay chart. Internationally, the song topped the charts in various countries and won the award for Best Pop Video at the 2018 MTV Video Music Awards. The MTV Video Music Award for Best Pop Video was first given out in 1999, as MTV began to put several teen pop acts in heavy rotation. Nominations, however, were not just limited to pop acts, as dance, R&B, pop/rock, and reggaeton artists have also received Best Pop Video nominations throughout the award's history. In 2007, MTV eliminated this award along with all of the genre categories, but it returned in 2008. The Manchester Arena bombing was a suicide bombing attack in Manchester, United Kingdom on 22 May 2017. A radical Islamist detonated a shrapnel-laden homemade bomb as people were leaving the Manchester Arena following a concert by the American singer Ariana Grande. The incident was treated as an act of terrorism. The Dangerous Woman Tour was the third concert tour by American singer and actress Ariana Grande to promote her third studio album, Dangerous Woman (2016). The tour began on February 3, 2017 in Phoenix, Arizona, and ended on September 21, 2017 in Hong Kong. The tour was temporarily halted on May 22, 2017 by a terrorist bombing at the end of Grande's Manchester Arena show, which killed 22 concert-goers and injured 139. After organizing and performing at the One Love Manchester benefit concert, Grande resumed the tour on June 7, 2017. 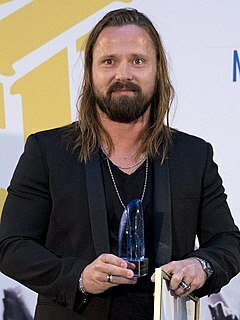 Martin Sandberg, known professionally as Max Martin, is a Swedish songwriter, record producer and singer. He rose to prominence in the second half of the 1990s after making a string of major hits such as Britney Spears's "...Baby One More Time" (1998), The Backstreet Boys's "I Want It That Way" (1999) and NSYNC's "It's Gonna Be Me" (2000). Gloria Gaynor is an American singer, best known for the disco era hits "I Will Survive", "Never Can Say Goodbye", "Let Me Know " and "I Am What I Am". "I Will Survive" is a hit song first performed by American singer Gloria Gaynor, released in October 1978. It was written by Freddie Perren and Dino Fekaris. A top-selling song after its initial release, it sold 14 million copies worldwide and has remained a popular disco anthem, as well as being certified platinum by the RIAA. Dance-pop is a popular music sub-genre that originated in the early 1980s. It is generally uptempo music intended for nightclubs with the intention of being danceable but also suitable for contemporary hit radio. Developing from a combination of dance and pop with influences of disco, post-disco and synth-pop, it is generally characterised by strong beats with easy, uncomplicated song structures which are generally more similar to pop music than the more free-form dance genre, with an emphasis on melody as well as catchy tunes. The genre, on the whole, tends to be producer-driven, despite some notable exceptions. Disco is a music genre and subculture that emerged in the 1970s from the United States' urban nightlife scene. The music, the fashion, many song lyrics and other cultural phenomena associated with disco were focused on having a good time on the dance floor of a discotheque to the loud sounds of records being played by a DJ, usually enhanced by coloured lighting effects. Variety is a weekly American entertainment trade magazine and website owned by Penske Media Corporation. It was founded by Sime Silverman in New York in 1905 as a weekly newspaper reporting on theater and vaudeville. In 1933 it added Daily Variety, based in Los Angeles, to cover the motion-picture industry. Variety.com features breaking entertainment news, reviews, box office results, cover stories, videos, photo galleries and more, plus a credits database, production charts and calendar, with archive content dating back to 1905. On the Billboard Mainstream Top 40, "No Tears Left to Cry" debuted at number 30 as the highest entry of the week, rising to number 22 the following week. The song eventually topped the chart on the issue dated July 21, 2018, becoming her third number one on the chart after "Problem" in 2014, and "Side to Side" in 2016. The song has also reached a peak of number three on the Radio Songs chart, number four on the Adult Top 40, number 12 on the Rhythmic Songs chart, and number 16 on the Adult Contemporary chart. On the Billboard Dance Club Songs, it reached number-one on the magazine's June 23, 2018 issue, becoming her second number-one hit on the chart and first as lead artist. She also became the first female artist ever to have two number one hit songs on the chart. In Canada, the song became Grande's highest charting single at the time, entering in the runner-up position on the Canadian Hot 100, behind Drake's "Nice for What",   while debuting atop the Canadian Digital Song Sales chart. The track was later certified platinum by Music Canada in July 2018 for shipments of 80,000 units. "Monopoly" is a song by American singers Ariana Grande and Victoria Monét, released on April 1, 2019 through label Republic Records. 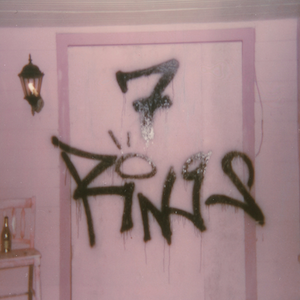 The song was written by Grande, Monét, Charles Anderson, Michael Foster, and Tim Suby, with production being handled by Social House and Suby. The music video, which was shot on March 30, 2019 at Mohegan Sun in the hours leading up to a concert scheduled that night, was released alongside the single, and was directed by Alfredo Flores and Ricky Alvarez. ↑ Briones, Issis (September 27, 2017). "48 Hours in Hong Kong With Ariana Grande". Billboard . Retrieved April 24, 2018. 1 2 3 Horowitz, Steven J. (August 27, 2018). "Ariana Grande's 'Sweetener' Producer Breaks Down Its Key Tracks: 'This Is a Career-Defining Album'". Billboard. Retrieved January 15, 2019. 1 2 3 4 LeDonne, Rob (August 23, 2018). "Songwriter Savan Kotecha on the Making of Ariana Grande's Sweetener". Vulture . Retrieved January 15, 2019. ↑ Real, Evan (May 4, 2018). "Frankie Grande on the 'Magic' of Watching Sister Ariana Record 'No Tears Left to Cry'". Billboard. Retrieved January 15, 2019. ↑ Grande, Ariana (August 17, 2018). "Ariana Grande Talks Sweetener, Pete Davidson & Nicki Minaj". Zach Sang Show (Interview). Interviewed by Zach Sang. 1 2 Sweetener (Media notes). Ariana Grande. Republic Records. 2018. p. 6. 60256783838098. ↑ D'Zurilla, Christie (April 20, 2018). "Listen to Ariana Grande's new tune 'No Tears Left to Cry,' her first since Manchester bombing". Hartford Courant . Retrieved April 24, 2018. ↑ Caramanica, Jon (April 20, 2018). "The Playlist: Prince's Own 'Nothing Compares 2 U,' and 12 More New Songs". The New York Times . Retrieved April 22, 2018. ↑ He, Richard S. (April 27, 2018). "Every Ariana Grande Song, Ranked". Billboard. Retrieved April 28, 2018. 1 2 Garvey, Meaghan (April 20, 2018). "'No Tears Left to Cry' by Ariana Grande Review". Pitchfork. Retrieved April 22, 2018. ↑ "Ariana Grande 'No Tears Left to Cry' Sheet Music in A Minor". Musicnotes.com. Retrieved April 25, 2018. 1 2 Reed, Ryan (April 20, 2018). "Hear Ariana Grande's Uplifting New Song 'No Tears Left to Cry'". Rolling Stone . Retrieved December 27, 2018. 1 2 3 4 5 Willman, Chris (April 20, 2018). "Song Review: Ariana Grande's 'No Tears Left to Cry'". Variety . Retrieved December 27, 2018. ↑ Aswad, Jem (April 9, 2018). "Ariana Grande to Drop First Single From New Album on April 27". Variety . Retrieved April 19, 2018. ↑ Prance, Sam (April 16, 2018). "Ariana Grande Appears to Confirm New Single Title". MTV UK . Retrieved April 24, 2018. ↑ "Ariana Grande teases new music: 'no tears left to cry'". Newsbeat . April 18, 2018. Retrieved April 19, 2018. ↑ Prance, Sam (April 17, 2018). "Ariana Grande Is Reportedly Dropping a Single This Week". MTV UK. Retrieved April 24, 2018. ↑ Elder, Sajae (April 19, 2018). "Ariana Grande's New Single Reportedly Has 'Powerful' Effect on Listening Party Attendees". Complex . Retrieved April 19, 2018. ↑ Kitchener, Shaun (April 19, 2018). "Ariana Grande 'No Tears Left To Cry': Listen to snippet of new single". Daily Express . Retrieved April 24, 2018. ↑ Blais-Billie, Braudie; Minsker, Evan (May 1, 2018). "Watch Ariana Grande Cover Kendrick in the Style of Evanescence on 'Fallon'". Pitchfork . Retrieved May 1, 2018. ↑ "No Tears Left to Cry Grey Crewneck + Digital Single". ArianaGrande.com. April 21, 2018. Retrieved April 24, 2018. 1 2 "Hot/Modern/AC Future Releases". Archived from the original on April 19, 2018. Retrieved April 19, 2018. 1 2 "Top 40/R Future Releases". Archived from the original on April 19, 2018. Retrieved April 19, 2018. 1 2 "Top 40/M Future Releases". Archived from the original on April 19, 2018. Retrieved April 19, 2018. ↑ "Ariana Grande Emotionally Thanks Fans For Support & Honors Manchester Victims In New Music Video". Access . April 20, 2018. Retrieved May 8, 2018. ↑ McGrath, Rachel (April 21, 2018). "Ariana Grande Surprises Coachella With 'No Tears Left To Cry' Performance". The Huffington Post . Retrieved May 8, 2018. ↑ "The New Review: Hot Tracks". The Observer . April 29, 2018. p. 31. ISSN 0029-7712. ↑ Snapes, Laura (April 20, 2018). "Ariana Grande: No Tears Left to Cry review – instant earworm dances against the odds". The Guardian. Retrieved April 22, 2018. ↑ Golby, Joel (April 27, 2018). "Tracks of the week reviewed: Ariana Grande, Sean Paul and Lykke Li". The Guardian. Retrieved May 6, 2018. ↑ Mellis, Matt; Teske, Lindsay; Scott, Clara (April 30, 2018). "Top 10 Songs of the Month: Cardi B, Drake, Janelle Monáe, and Prince". Consequence of Sound . Retrieved May 7, 2018. ↑ Reilly, Nick (April 20, 2018). "Ariana Grande returns with huge single 'No Tears Left to Cry'". NME. Retrieved April 22, 2018. ↑ Mylrea, Hannah (April 20, 2018). "'No Tears Left to Cry' sees Ariana Grande tackle hate with joy and disco". NME. Retrieved April 22, 2018. ↑ Williams, Pip; Kent, Matthew (April 23, 2018). "Pop Never Dies (But You Will): Ariana Grande, Naaz, Amanda Tenfjord, BATTS, Openside". The Line of Best Fit . Retrieved May 8, 2018. ↑ Bernard, Jesse (April 24, 2018). "Singles Club: Kelsey Lu's 'Shades of Blue' is a summer jam for the tenderhearted". Fact . Retrieved May 8, 2018. ↑ Unterberger, Andrew (April 20, 2018). "Ariana Grande's 'No Tears Left to Cry': This Is the Part When the Pop Star Is Broken, But Free". Billboard. Retrieved April 22, 2018. ↑ Lansky, Sam (May 17, 2018). "Ariana Grande Is Ready to Be Happy". Time. Retrieved May 18, 2018. ↑ "NME's Songs Of The Year 2018". NME. December 17, 2018. Retrieved December 17, 2018. ↑ "Camila Cabello, Ariana Grande, Post Malone Lead 2018 MTV EMA Nominees". Billboard. Retrieved 2019-02-04. ↑ Staff, Variety; Staff, Variety (2018-07-16). "Cardi B, Beyonce, Jay-Z Lead 2018 MTV VMA Nominations". Variety. Retrieved 2019-02-04. ↑ "MTV Japan on Instagram: "【MTV VMAJ 2018】「最優秀洋楽女性アーティストビデオ賞」 は、アリアナ・グランデが受賞！「最優秀ビデオ賞」 の投票はmtvjapan.comにアクセス！ #アリアナグランデ #ArianaGrande #NoTearsLefttoCry #MTVJAPAN…"". Instagram. Retrieved 2019-02-04. ↑ Juárez, El Diario de. "Revelan a los nominados para los Kids' Choice 2018 - El Diario". El Diario de Juárez (in Spanish). Retrieved 2019-02-04. ↑ "NRJ Music Awards 2018 : Les nominés sont..." Public.fr (in French). Retrieved 2019-02-04. ↑ "2018 People's Choice Awards: Complete List of Nominations on People's Choice Awards". E!. 2018-09-05. Retrieved 2019-02-04. ↑ "Taylor Swift, Drake, Cardi B & More Among Teen Choice Awards 2018 Nominees: See the Full List". Billboard. Retrieved 2019-02-04. ↑ "The Global Awards 2019 - How To Vote, Buy Tickets And Who's Performing". Capital. Retrieved 2019-02-04. ↑ Zellner, Xander (April 30, 2018). "Ariana Grande Scores 9th Billboard Hot 100 Top 10 With 'No Tears Left to Cry'". Billboard. Retrieved May 2, 2018. ↑ Trust, Gary (March 21, 2016). "Rihanna Rules Hot 100 for Fifth Week, Ariana Grande Debuts at No. 10". Billboard. Archived from the original on April 24, 2016. Retrieved March 21, 2016. 1 2 "American single certifications – Ariana Grande – No Tears Left to Cry". Recording Industry Association of America . Retrieved April 8, 2019. If necessary, click Advanced, then click Format, then select Single, then click SEARCH. ↑ Trust, Gary (July 16, 2018). "Ariana Grande's 'No Tears Left to Cry' Hits No. 1 on Pop Songs Airplay Chart". Billboard. Retrieved July 16, 2018. ↑ Murray, Gordon (June 21, 2018). "Ariana Grande Hits No. 1, U2 Goes Top 10 on Dance Club Songs Chart". Billboard. Retrieved June 21, 2018. 1 2 "Ariana Grande Chart History (Canadian Hot 100)". Billboard. ↑ "Canadian Music: Top 100 Songs Chart". Billboard. Archived from the original on May 3, 2018. Retrieved May 3, 2018. ↑ "Ariana Grande snares first #1 single". Australian Recording Industry Association. April 28, 2018. Retrieved May 2, 2018. ↑ Ryan, Gavin (April 28, 2018). "Australian Charts: Ariana Grande Manchester Tribute Debuts At No 1". Noise11. Retrieved May 2, 2018. 1 2 "ARIA Australian Top 50 Singles". Australian Recording Industry Association. August 13, 2018. Retrieved August 11, 2018. 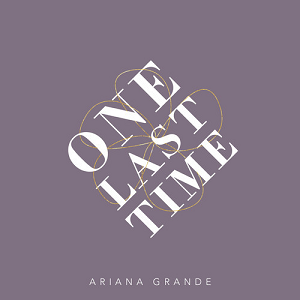 1 2 "Charts.nz – Ariana Grande – No Tears Left to Cry". Top 40 Singles. Retrieved April 27, 2018. ↑ "The Official Music Charts: Certifications". Recorded Music NZ . Retrieved 2014-10-22. 1 2 "New Zealand single certifications – Ariana Grande – No Tears Left to Cry". Recorded Music NZ . Retrieved August 24, 2018. ↑ Jones, Alan (April 27, 2018). "Charts analysis: Calvin Harris and Dua Lipa score biggest No.1 so far this year". Music Week . Retrieved May 2, 2018. ↑ "Calvin Harris and Dua Lipa hold off Ariana Grande to stay at number one". Irish Examiner . April 27, 2018. Retrieved May 6, 2018. ↑ Mapstone, Lucy (May 4, 2018). "Rapper Post Malone lands first UK number one album". Irish Independent . Retrieved May 6, 2018. 1 2 "British single certifications – Ariana Grande – No Tears Left To Cry". British Phonographic Industry . Retrieved July 6, 2018. Select singles in the Format field. Select Platinum in the Certification field. Type No Tears Left To Cry in the "Search BPI Awards" field and then press Enter. 1 2 3 "Irish-charts.com – Discography Ariana Grande". Irish Singles Chart. Retrieved April 28, 2018. 1 2 "ČNS IFPI" (in Czech). Hitparáda – Radio Top 100 Oficiální. IFPI Czech Republic. Note: Change the chart to CZ – RADIO – TOP 100 and insert 201835 into search. Retrieved September 3, 2018. ↑ "Single (track) Top 40 lista". (Single Top 40). April 27, 2018. Retrieved May 4, 2018. 1 2 "Norwegiancharts.com – Ariana Grande – No Tears Left to Cry". VG-lista. Retrieved April 28, 2018. 1 2 "Portuguesecharts.com – Ariana Grande – No Tears Left To Cry". AFP Top 100 Singles. Retrieved May 11, 2018. 1 2 "ČNS IFPI" (in Slovak). Hitparáda – Singles Digital Top 100 Oficiálna. IFPI Czech Republic. Note: Select SINGLES DIGITAL - TOP 100 and insert 201817 into search. Retrieved April 30, 2018. 1 2 "Austriancharts.at – Ariana Grande – No Tears Left to Cry" (in German). Ö3 Austria Top 40. Retrieved May 3, 2018. 1 2 "Offiziellecharts.de – Ariana Grande – No Tears Left to Cry". GfK Entertainment Charts. Retrieved April 27, 2018. 1 2 "Ariana Grande: No Tears Left to Cry" (in Finnish). Musiikkituottajat – IFPI Finland. Retrieved May 6, 2018. 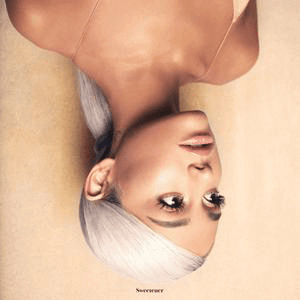 1 2 "Dutchcharts.nl – Ariana Grande – No Tears Left to Cry" (in Dutch). Single Top 100. Retrieved April 26, 2018. 1 2 "Listy bestsellerów, wyróżnienia :: Związek Producentów Audio-Video". Polish Airplay Top 100. Retrieved July 2, 2018. 1 2 "Swisscharts.com – Ariana Grande – No Tears Left to Cry". Swiss Singles Chart. Retrieved April 30, 2018. 1 2 "Ultratop.be – Ariana Grande – No Tears Left to Cry" (in Dutch). Ultratop 50. Retrieved June 15, 2018. 1 2 "Danishcharts.com – Ariana Grande – No Tears Left to Cry". Tracklisten. Retrieved May 2, 2018. 1 2 "Italiancharts.com – Ariana Grande – No Tears Left to Cry". Top Digital Download. Retrieved April 29, 2018. 1 2 "Spanishcharts.com – Ariana Grande – No Tears Left to Cry" Canciones Top 50. Retrieved May 3, 2018. 1 2 "Swedishcharts.com – Ariana Grande – No Tears Left to Cry". Singles Top 100. Retrieved April 27, 2018. 1 2 "Ariana Grande Chart History (Japan Hot 100)". Billboard. Retrieved June 1, 2018. ↑ "Japanese Overseas Chart". Billboard. 1 2 "Ariana Grande – No Tears Left to Cry". April 19, 2018. Retrieved October 17, 2018– via YouTube. 1 2 Roth, Madeline (April 23, 2018). "Watch Ariana Grande Do Her Own Stunts In 'No Tears' Behind-The-Scenes Video". MTV News . Retrieved April 30, 2018. ↑ Nelson, Jeff (April 25, 2018). "Ariana Grande's New Song 'No Tears Left To Cry'". People . Retrieved April 29, 2018. 1 2 Honeycutt, Shanté (April 23, 2018). "See How Ariana Grande Managed to Defy Gravity in 'No Tears Left to Cry' Video". Billboard. Retrieved April 30, 2018. ↑ Wass, Mike (April 23, 2018). "Ariana Grande Takes Us Behind The Scenes Of 'No Tears Left To Cry'". Idolator . Retrieved April 30, 2018. 1 2 Roth, Madeline (April 27, 2018). "Go Inside Ariana Grande's 'Traumatizing' Mask-Making Process For 'No Tears' Video". MTV News. Retrieved April 30, 2018. ↑ "Ariana Grande releases 'No Tears Left To Cry' today" (Press release). New York: Republic Records. Pressparty. April 20, 2018. Retrieved April 29, 2018. ↑ Lenker, Maureen Lee (April 20, 2018). "Listen to Ariana Grande's new single, 'No Tears Left to Cry'". Entertainment Weekly . Retrieved April 30, 2018. 1 2 3 Jones, Abby (April 20, 2018). "Ariana Grande's World Turns Upside Down in Futuristic 'No Tears Left To Cry' Video: Watch". Billboard. Retrieved May 1, 2018. ↑ Nied, Mike (April 20, 2018). "Banger Alert: Ariana Grande's 'No Tears Left To Cry' Will Be Massive". Idolator. Retrieved May 1, 2018. ↑ "Ariana Grande: 'No Tears Left To Cry' Video Outfits". Steal Her Style. April 21, 2018. Retrieved May 1, 2018. 1 2 3 Weiner, Zoë (April 20, 2018). "Ariana Grande's Best Hair Looks from No Tears Left to Cry Music Video". Teen Vogue . Retrieved May 1, 2018. ↑ Diaz, Johnny (April 20, 2018). "Ariana Grande releases new single 'No Tears Left To Cry'". Sun-Sentinel . Retrieved April 30, 2018. ↑ Clark, Anne Victoria (April 20, 2018). 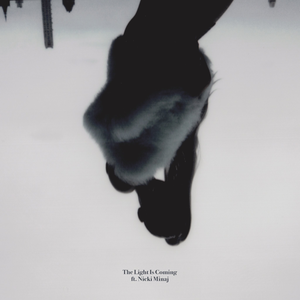 "Ariana Grande's New Single Is Here and So Is the Mind-Bending Video". Vulture . Retrieved May 1, 2018. ↑ Honeycutt, Shanté (April 23, 2018). "Ariana Grande Teases Behind the Scenes Video For 'No Tears Left to Cry' With Sultry Photo". Billboard. Retrieved May 1, 2018. ↑ Seemayer, Zach (April 19, 2018). "Ariana Grande Drops First Single Since Manchester Tragedy -- Watch the Video". Entertainment Tonight . Retrieved May 1, 2018. 1 2 Bergado, Gabe (April 20, 2018). "Ariana Grande Drops 'No Tears Left To Cry' Music Video". Teen Vogue. Retrieved May 1, 2018. 1 2 Jagota, Vrinda (April 20, 2018). "Ariana Grande's 'No Tears Left To Cry' Video Pays Tribute To Manchester". Paper . Retrieved May 1, 2018. ↑ Savage, Mark (April 20, 2018). "No Tears Left To Cry: Ariana Grande's uplifting new single alludes to Manchester". BBC Music . Retrieved April 24, 2018. ↑ Prance, Sam (April 25, 2018). "Ariana Grande Breaks YouTube Record with New Single". MTV UK. Retrieved April 26, 2018. ↑ Heward, Emily (April 20, 2018). "Ariana Grande's touching tribute to Manchester in No Tears Left to Cry video". Manchester Evening News . Retrieved May 2, 2018. 1 2 McNeilage, Ross (April 20, 2018). "Ariana Grande's 'No Tears Left to Cry' Is A Phenomenal Return". MTV UK. Retrieved May 2, 2018. ↑ Holmes, Charles (April 20, 2018). "Ariana Grande's 'No Tears Left to Cry' Is The Anthem We Needed". MTV. Retrieved May 2, 2018. ↑ van Paris, Calin (April 20, 2018). "Ariana Grande Puts a Surprising Twist on a Classic Updo in Her New Music Video". Vogue . Retrieved May 2, 2018. ↑ Marzovilla, Julia (April 27, 2018). "Ariana Grande Lands Her Biggest YouTube Debut Yet With 'No Tears Left to Cry'". Billboard. Retrieved May 1, 2018. ↑ Nordyke, Kimberly (August 20, 2018). "VMAs: Camila Cabello Wins Video of the Year for "Havana"; Complete List of Winners". The Hollywood Reporter. Retrieved August 21, 2018. ↑ Havens, Lyndsey (April 21, 2018). "Ariana Grande Live Debuts 'No Tears Left To Cry' in Surprise Coachella Appearance". Billboard. Retrieved April 21, 2018. ↑ Young, Alex (May 2, 2018). "Ariana Grande announces new album, Sweetener, sings Drake and Kendrick on Fallon". Consequence of Sound. Retrieved May 2, 2018. ↑ Webster, Andrew (May 14, 2018). "Watch Ariana Grande, Jimmy Fallon, and The Roots play her new single with Nintendo Labo". The Verge . Retrieved May 14, 2018. ↑ Mamo, Heran (May 18, 2018). "Billboard Music Awards 2018 Performers & Presenters: Full List". Billboard. Retrieved May 20, 2018. ↑ Castillo, Michelle (May 4, 2018). "YouTube Brandcast presentation shows Alphabet wealth". CNBC. Retrieved May 27, 2018. ↑ "Argentina Hot 100 – Semana del 13 de Octubre del 2018". Billboard Argentina (in Spanish). Retrieved October 14, 2018. ↑ "Australian-charts.com – Ariana Grande – No Tears Left to Cry". ARIA Top 50 Singles. Retrieved April 28, 2018. ↑ "Ultratop.be – Ariana Grande – No Tears Left to Cry" (in French). Ultratop 50. Retrieved August 24, 2018. ↑ "Streaming Chart" (in Portuguese). Pro-Música Brasil . Retrieved July 29, 2018. ↑ "Ariana Grande Chart History (Canada AC)". Billboard. Retrieved July 31, 2018. ↑ "Ariana Grande Chart History (Canada CHR/Top 40)". Billboard. Retrieved June 18, 2018. ↑ "Ariana Grande Chart History (Canada Hot AC)". Billboard. Retrieved July 24, 2018. ↑ "Top 100 Colombia" (in Spanish). National-Report. Archived from the original on May 25, 2018. Retrieved May 25, 2018. ↑ "ČNS IFPI" (in Czech). Hitparáda – Digital Top 100 Oficiální. IFPI Czech Republic. Note: Change the chart to CZ – SINGLES DIGITAL – TOP 100 and insert 201817 into search. Retrieved April 30, 2018. ↑ "Top 100 Ecuador – Semana 19 del 2018 – Del 04/05/2018 al 10/05/2018". National-Report. Archived from the original on May 11, 2018. Retrieved May 11, 2018. ↑ "El Salvador General" (in Spanish). Monitor Latino. Archived from the original on June 4, 2018. Retrieved June 5, 2018. ↑ Nestor, Siim (April 29, 2018). "EESTI TIPP-40 MUUSIKAS Queenil läheb väga hästi!". Eesti Ekspress (in Estonian). Retrieved April 29, 2018. ↑ "Euro Digital Song Sales". Billboard. Retrieved April 28, 2018. ↑ "Europe Official Top 100" . Retrieved May 12, 2018. ↑ "Top Singles Téléchargés". (SNEP). Retrieved April 30, 2018. ↑ "Greece Official IFPI Charts Digital Singles Chart: April 30, 2018". IFPI Charts. Retrieved April 30, 2018. ↑ "Archívum – Slágerlisták – MAHASZ" (in Hungarian). Rádiós Top 40 játszási lista. Magyar Hanglemezkiadók Szövetsége. Retrieved August 4, 2018. ↑ "Archívum – Slágerlisták – MAHASZ" (in Hungarian). Single (track) Top 40 lista. Magyar Hanglemezkiadók Szövetsége. Retrieved January 21, 2019. ↑ "Archívum – Slágerlisták – MAHASZ" (in Hungarian). Stream Top 40 slágerlista. Magyar Hanglemezkiadók Szövetsége. Retrieved January 21, 2019. ↑ "Year 2018, Week 23". Media Forest Israel. Retrieved June 10, 2018. ↑ "Billboard Japan Hot Overseas" (in Japanese). Billboard Japan. May 28, 2018. Retrieved May 28, 2018. ↑ "Latvijas Top 40". Latvijas Radio . Retrieved June 22, 2018. ↑ "The Official Lebanese Top 20 - Ariana Grande". The Official Lebanese Top 20 . Retrieved June 10, 2018. ↑ "RIM CHARTS Top 20 Most Streamed International" (PDF). (RIM). April 27, 2018. Retrieved May 4, 2018. ↑ "Mexico Airplay: May 26, 2018". Billboard. Retrieved May 23, 2018. (Subscription required (help)). ↑ "Nederlandse Top 40 – week 19, 2018" (in Dutch). Dutch Top 40 Retrieved May 12, 2018. ↑ "Airplay 100 – Cristi Nitzu | Kiss FM – June 2, 2018". Kiss FM. Archived from the original on January 27, 2018. Retrieved January 27, 2018. Note: User may scroll down the 'Podcasturi' menu to play or download the respective podcast. ↑ "Official Scottish Singles Sales Chart Top 100". Official Charts Company. Retrieved April 28, 2018. ↑ "Sri Lanka Airplay – Week 26, 2018". Charts around the world. ↑ "RIAS Top 30 International Streaming Chart". (RIAS). April 27, 2018. Retrieved May 4, 2018. ↑ "ČNS IFPI" (in Slovak). Hitparáda – Radio Top 100 Oficiálna. IFPI Czech Republic. Note: insert 201848 into search. Retrieved December 4, 2018. ↑ "SloTop50 – Slovenian official singles chart". slotop50.si. Retrieved 5 September 2018. ↑ "Gaon Digital Chart – Issue date: 2018.04.22-2018.04.28". Gaon Chart . Retrieved May 3, 2018. ↑ "Official Singles Chart Top 100". Official Charts Company. Retrieved April 28, 2018. ↑ "Ariana Grande Chart History (Hot 100)". Billboard. Retrieved May 1, 2018. ↑ "Ariana Grande Chart History (Adult Contemporary)". Billboard. Retrieved September 11, 2018. ↑ "Ariana Grande Chart History (Adult Pop Songs)". Billboard. Retrieved August 14, 2018. ↑ "Ariana Grande Chart History (Dance Club Songs)". Billboard. Retrieved June 15, 2018. ↑ "Ariana Grande Chart History (Dance Mix/Show Airplay)". Billboard. Retrieved July 3, 2018. ↑ "Ariana Grande Chart History (Pop Songs)". Billboard. Retrieved July 17, 2018. ↑ "Ariana Grande Chart History (Rhythmic)". Billboard. Retrieved June 26, 2018. ↑ "Top 100 Venezuela" (in Spanish). National-Report. Archived from the original on July 28, 2018. Retrieved July 28, 2018. ↑ "Chart Anual Monitor Latino 2018 – Argentina". Monitor Latino. Retrieved December 5, 2018. ↑ "2018 Annual ARIA Singles Chart". Australian Recording Industry Association. Retrieved January 10, 2019. ↑ "2018 Annual ARIA Digital Singles Chart". Australian Recording Industry Association. Retrieved January 10, 2019. ↑ "Ö3 Austria Top 40 Jahrescharts 2018: Singles". Ö3 Austria Top 40. Retrieved December 30, 2018. ↑ "Jaaroverzichten 2018". Ultratop. Retrieved December 21, 2018. ↑ "Rapports Annuels 2018". Ultratop. Retrieved December 21, 2018. ↑ "Track Top-100 2018" (in Danish). Hitlisten. Retrieved January 16, 2019. ↑ "EESTI TIPP-100 MUUSIKAS Neid artiste ja lugusid kuulati möödunud aastal Eestis kõige rohkem". Eesti Ekspress (in Estonian). January 18, 2019. Retrieved January 19, 2019. ↑ "Top 100 Single-Jahrescharts". GfK Entertainment (in German). offiziellecharts.de. Retrieved December 21, 2018. ↑ "Rádiós Top 100 - hallgatottsági adatok alapján - 2018". Mahasz . Retrieved January 20, 2019. ↑ "Ireland's Official Top 40 biggest songs of 2018". Official Charts Company . Retrieved January 4, 2019. ↑ "Japan Hot 100 Songs – Year-End 2018". Billboard. Retrieved December 20, 2018. ↑ "Hot Overseas 2018 Year End". Billboard Japan (in Japanese). Retrieved December 6, 2018. ↑ "Japan Streaming Songs : Year End 2018". Billboard Japan . Retrieved January 25, 2019. ↑ "Top 100-Jaaroverzicht van 2018". Top 40. Retrieved December 31, 2018. ↑ "Jaaroverzichten – Single 2018" (in Dutch). MegaCharts. Retrieved January 5, 2019. ↑ "Top Selling Singles of 2018". Recorded Music NZ. Retrieved December 13, 2018. ↑ "Najlepiej sprzedające się płyty i najpopularniejsze utwory w radiach – podsumowanie 2018 roku" (in Polish). Polish Society of the Phonographic Industry . Retrieved January 22, 2019. ↑ "SloTop50 – Slovenian official Year-End singles chart". SloTop50 . Retrieved 7 February 2019. ↑ "Årslista Singlar – År 2018" (in Swedish). Sverigetopplistan. Retrieved January 15, 2019. ↑ "Schweizer Jahreshitparade 2018 – hitparade.ch". Hung Medien. Retrieved December 31, 2018. ↑ "End of Year Singles Chart Top 100 – 2018". Official Charts Company. Retrieved December 29, 2018. ↑ "Adult Contemporary Pop Songs – Year-End 2018". Billboard. Retrieved December 20, 2018. ↑ "Adult Pop Songs – Year-End 2018". Billboard. Retrieved December 20, 2018. ↑ "Dance Club Songs – Year-End 2018". Billboard. Retrieved December 20, 2018. ↑ "Dance/Mix Show Songs – Year-End 2018". Billboard. Retrieved December 20, 2018. ↑ "Rhythmic Songs – Year-End 2018". Billboard. Retrieved December 20, 2018. ↑ "Streaming Songs – Year-End 2018". Billboard. Retrieved December 5, 2018. ↑ "Austrian single certifications – Ariana Grande – No Tears Left To Cry" (in German). IFPI Austria. Retrieved January 3, 2019. Enter Ariana Grande in the field Interpret. Enter No Tears Left To Cry in the field Titel. Select single in the field Format. Click Suchen. ↑ "Ultratop − Goud en Platina – singles 2018". Ultratop. Hung Medien. Retrieved July 1, 2018. ↑ "Brazilian single certifications – Ariana Grande – No Tears Left To Cry" (in Portuguese). Associação Brasileira dos Produtores de Discos. ↑ "Canadian single certifications – Ariana Grande – No Tears Left To Cry". Music Canada . Retrieved July 25, 2018. 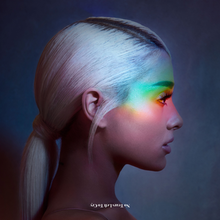 ↑ "French single certifications – Ariana Grande – No Tears Left To Cry" (in French). Syndicat National de l'Édition Phonographique . Retrieved August 13, 2018. ↑ "Gold-/Platin-Datenbank (Ariana Grande; 'No Tears Left To Cry')" (in German). Bundesverband Musikindustrie . Retrieved January 8, 2019. ↑ "Italian single certifications – Ariana Grande – No Tears Left to Cry" (in Italian). Federazione Industria Musicale Italiana . Retrieved June 25, 2018. Select "2018" in the "Anno" drop-down menu. Select "No Tears Left to Cry" in the "Filtra" field. Select "Singoli online" under "Sezione". ↑ "Spanish single certifications – Ariana Grande – No Tears Left to Cry" (PDF) (in Spanish). Productores de Música de España . Retrieved July 4, 2018. Select single under "Chart", enter the certification year in the field "Year". Select the certification week in the field "Semana". Click on "Search Charts". ↑ "Guld- och Platinacertifikat" (in Swedish). IFPI Sweden. Type Ariana Grande in the top right search bar. Click on "Sok" and select "Visa" under No Tears Left to Cry to see certification. ↑ "no tears left to cry - Single by Ariana Grande on Apple Music". iTunes Store . Retrieved June 16, 2018. ↑ "no tears left to cry video" . Retrieved June 16, 2018. ↑ "ARIANA GRANDE "No Tears Left To Cry" | (Radio Date: 27/04/2018)". radiodate.it. Retrieved 6 May 2018. ↑ "No Tears Left to Cry (2-track)". amazon.de. Retrieved May 24, 2018. Bob Marley and the Wailers - "No Woman, No Cry"
Thin Lizzy - "The Boys Are Back in Town"
Buzzcocks - "Ever Fallen in Love (With Someone You Shouldn't've)"
The Jam - "Eton Rifles"
Grandmaster Flash - "The Message"
Womack and Womack - "Love Wars"
The Jesus & Mary Chain - "Never Understand"
Prince - "Sign o' the Times"
Nick Cave - "The Mercy Seat"
Deee-Lite - "Groove Is in the Heart"
Primal Scream - "Higher Than the Sun"
Blur - "Girls & Boys"
Black Grape - "Reverend Black Grape"
Missy Elliot – "Get Ur Freak On"
Doves – "There Goes the Fear"
Beyoncé – "Crazy in Love"
The Libertines – "Can't Stand Me Now"
The Futureheads – "Hounds of Love"
Hot Chip – "Over and Over"
Palma Violets – "Best of Friends"
Future Islands – "Seasons (Waiting on You)"